The presentation will explain the basic rules to which drone operators must adhere when undertaking their operations. 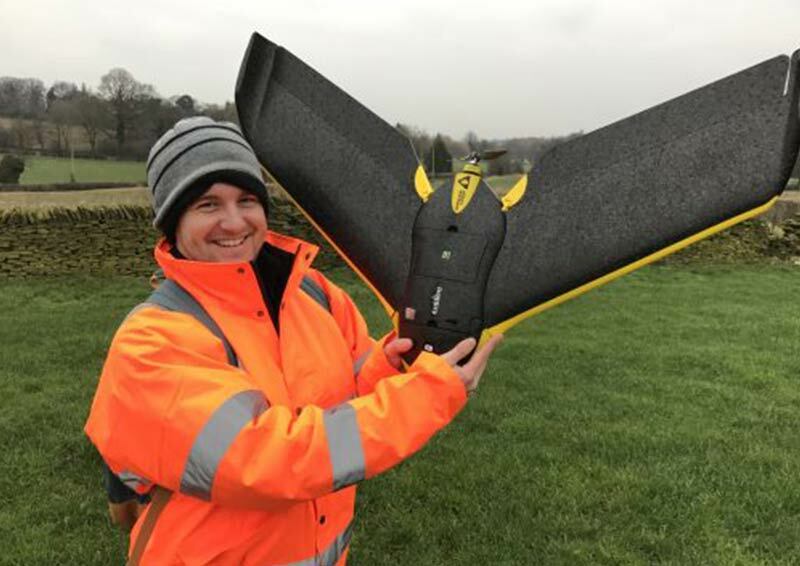 It will then look at the various applications that are commonly used commercially in everyday drone tasks - increasingly being employed in activities such as surveying, mining and quarrying, construction and engineering. results that are available to surveyors following processing of the captured data. After lunch there will be a live flying demonstration (on the venue's practice ground at Doncaster racecourse). Tea coffee and biscuits will be served at registration for the meeting. At lunch there will be a cold self-service buffet (but with hot chips!) comprising sandwiches, quiche, sausage rolls, chicken drumsticks, etc., with tea and coffee. There will be a gateau for dessert. The all-in cost for attendance including reception refreshments and lunch will be £12 per person. The venue bar will be open over the lunch period for purchase of other drinks. Please note that this event is not covered by our budget allocation from ICE for room hire etc. so the costs must be met in full by members attending. If you book but later you find that you are unable to attend, provided that you notify the Hon Sec not later than the booking deadline below, you will not be charged. If you cancel after that we will endeavour to make an adjustment with the venue so that you may not have to pay, but we reserve the right to request reimbursement from you if that isn't possible. If you wish to book for this meeting, please advise the RICE Hon Secretary not later than 16.00 on Thursday 9 August 2018. You may do that by e-mail to [email protected], or by a note in the post to: Hugh Allan, 8 West End Close, Horsforth, Leeds LS18 5JN, or by telephone on 0113 259 1095. Note: RICE meetings are open to all members of ICE and to members of other organisations with whom the ICE has a reciprocal arrangement, such as IET and IMechE. Additionally, RICE members may invite a guest to a RICE ordinary meeting, twice a year.